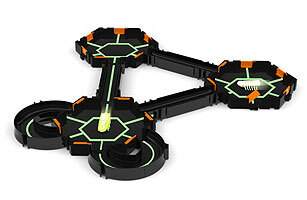 Programmed to behave like real bugs, the creepy, crawly Hexbug robots are an educational toy in a futuristic disguise. After designing habitats for their high-tech bugs to scrabble around in, kids are encouraged to go online to register their bots where they'll learn real-life insect and habitat facts. This year, the company is rolling out a line of glow-in-the-dark Nanos for a peek at the nocturnal life of insects. The glowing bugs and matching habitat are already available in stores. See the best toys from the 1970s.